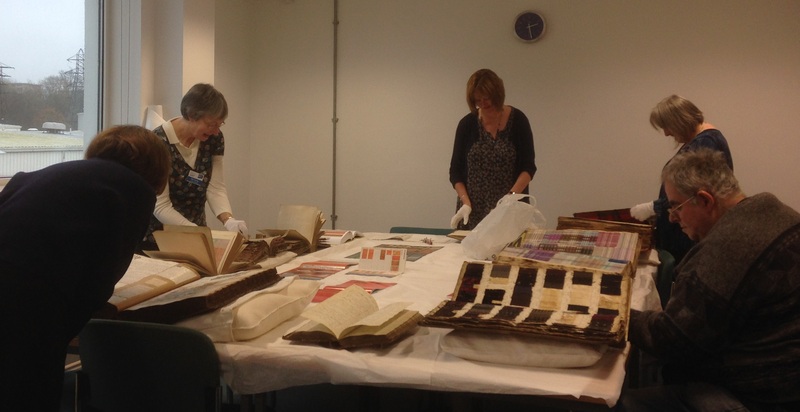 Today is your last chance to go on a Turning the Pages visit to our Museum and Archives (Edinburgh campus). Visits will run at 10 am and 2 pm today – meet at the posters on the steps into the Edinburgh Campus Library. Staff and students enjoying their Bringing Fashion to Book visit at Scottish Borders Campus earlier in the week. Our museum and archives are open to visitors throughout the year – see Heritage and Information Governance webpages for details.